Marco Pantani, the last rider to have won cycling's Giro d'Italia and the Tour de France in the same year, was born on this day in 1970. 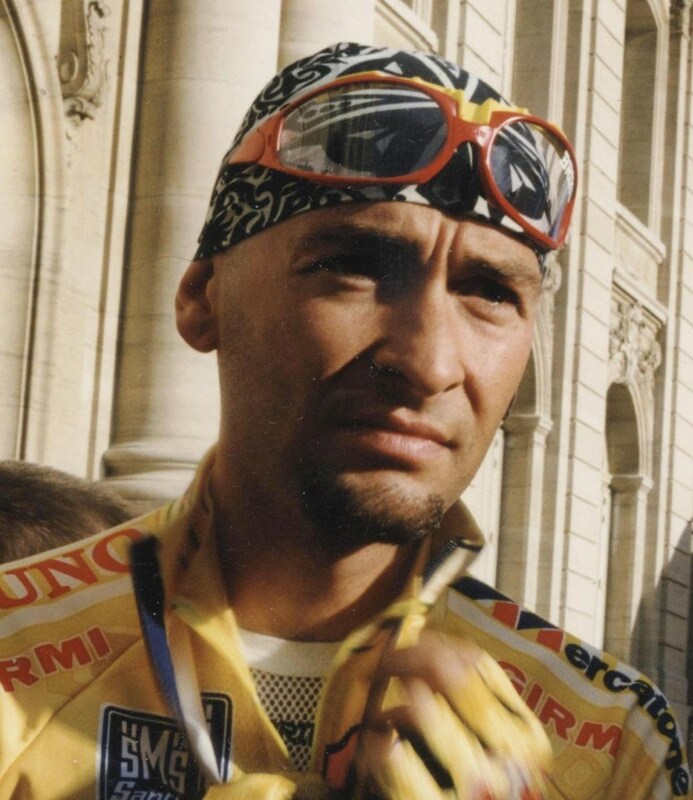 Recognised as one of the sport's greatest hill climbers, Pantani completed the historic 'double' in 1998 and remains one of only seven riders to achieve the feat. 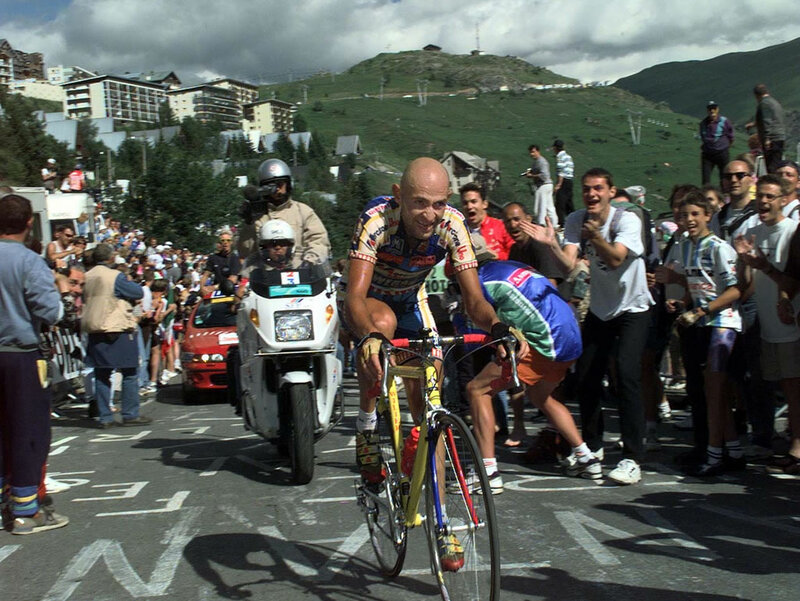 A single-mindedly fierce competitor, Pantani had won the amateur version of the Giro - the Girobio - in 1992, after which he turned professional. Winner of the Young Rider classification at the Tour de France in 1994 and 1995, he might have enjoyed still greater success. But Pantani's career was blighted by physical injuries and later by scandal after he was disqualified from the 1999 Giro d'Italia just two days from the finish - and with a clear lead - after a blood test revealed irregular results. He died tragically young in 2004. 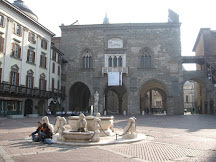 Growing up, Pantani's home town was the port of Cesenatico, on the Adriatic Coast, about 30 minutes' drive away from Cesena, in Emilia-Romagna. 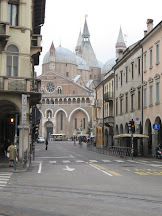 His mother worked as a chamber maid in hotels in Cesenatico and in neighbouring Bellaria, while his father, Paolo, was an engineer. His grandfather bought him his first bike, which he would ride alongside the canal near the family home, worrying his mother constantly that he would fall in, but it was after the family moved to a bigger apartment a couple of streets away that his interest in competitive cycling took off. 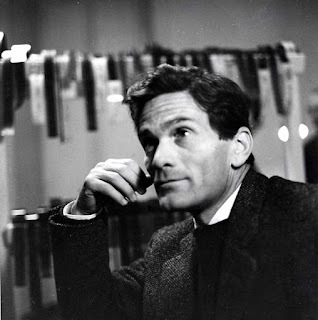 Among his new neighbours was Nicola Amaducci, sporting director of the Fausto Coppi Cycling Club. The club's training rides used to start in a nearby square and one day Marco, then aged just 11, could not resist the urge to tag along, which required him to pedal so hard he almost passed out through exhaustion. Given his lack of experience and fitness, he did surprisingly well and it was not long before he was accepted as a member. 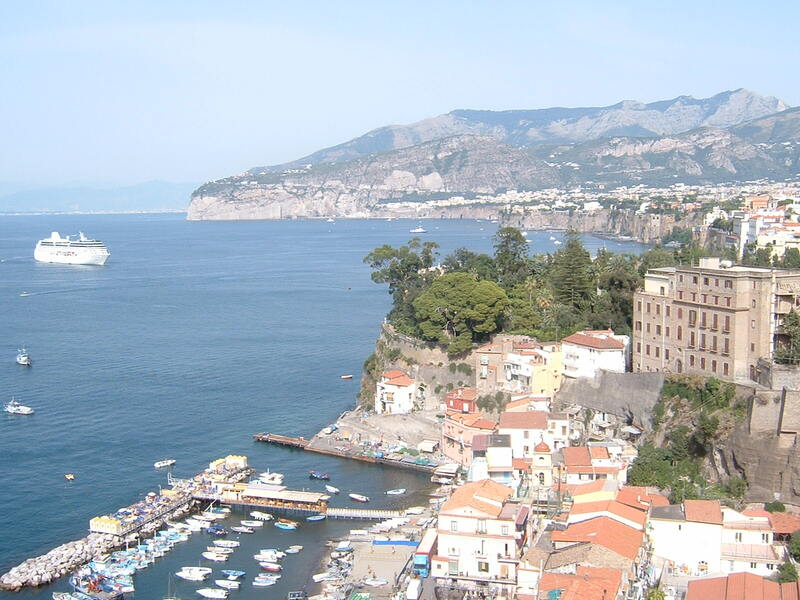 His father wanted him to obtain the educational qualifications to equip him for a career and he was sent to a technical institute in Cesena to study radio technology. But after winning his first race - a 75km hill climb from nearby Forlì to Montecoronaro, a town on the border with Tuscany - Marco convinced him that his ambition to become a professional cyclist was worth pursuing. His aggressive, attacking style in the saddle made him a favourite with cycling fans. Instantly recognisable by his shaven head, his earrings and a trademark bandana, he was nicknamed 'Il Pirata' - the Pirate. 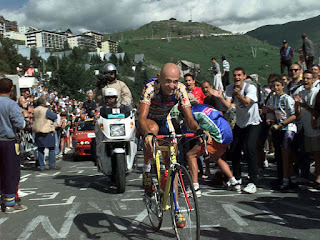 After finishing third on his Girobio debut in 1990 and second in 1991 before winning in 1992, injury delayed Pantani's professional debut in the Giro d'Italia until 1994, when he was runner-up. He finished third in his first Tour de France the same summer. He missed part of the 1995 and 1996 seasons after another serious injury and suffered a setback when the Carrera Jeans sponsorship of his team ended in 1996. However, he was soon installed as leader of a new team, Mercatone Uno, in whose colours he achieved his famous 'double' in 1998. 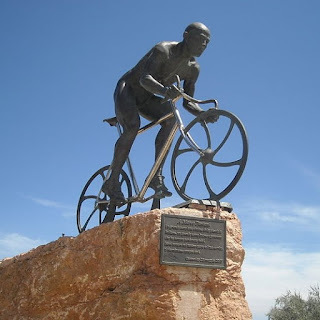 Coming only a year after the Festina team scandal had raised fears of widespread drug use in cycling, Pantani's 1999 test failure sent shockwaves through the sport and rumours began to spread about the Italian. The test he failed was not sophisticated enough to detect drugs but the high level of hematocrit in his blood - 52 per cent compared with the maximum permitted 50 per cent - was consistent with values found in athletes using the substance erythropoietin - the hormone better known as EPO. Pantani never tested positive for any banned substance and was inclined to believe stories that he had been the victim of a doctored test result linked to illegal gambling activities. However, he was affected by the negative publicity and his performances in subsequent seasons suffered. 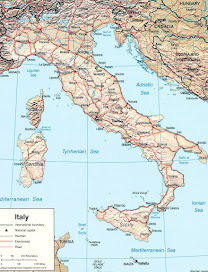 He was found dead in a hotel room in Rimini in 2004. The coroner's verdict was that he died from a cocaine overdose, which has been supported by evidence that he was also taking prescription drugs to combat depression, creating a lethal combination. An investigation into his possible murder, launched after a long campaign by his parents and others, was closed in 2016. 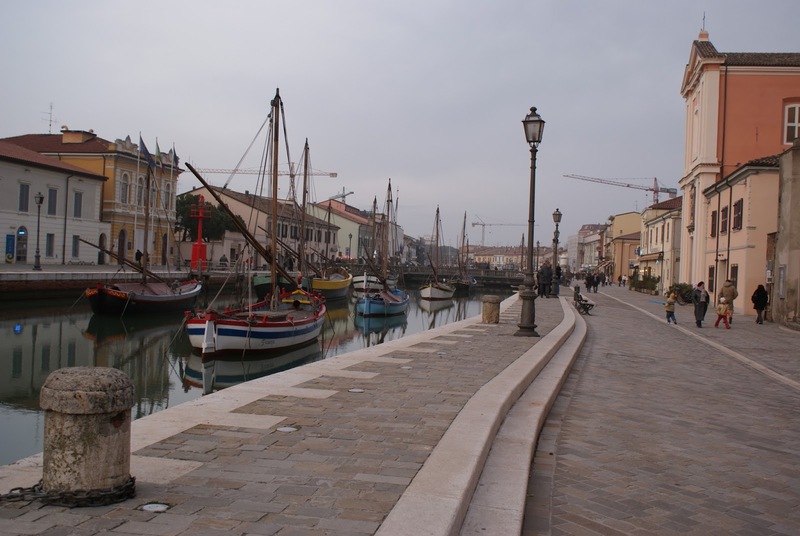 Cesenatico is one of many resorts along the Adriatic coast that benefit from wide sandy beaches and is very busy during the summer months. Originally it served as the port of Cesena, built around the mouth of a canal reputedly designed by Leonardo da Vinci. It enjoyed a boom period in the early part of the 20th century, when there was an expansion in hotels, including the impressive neoclassical Grand Hotel Cesenatico, built in 1929, which resembles a Liberty-style palace. 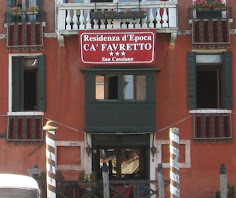 The life and achievements of Marco Pantani are remembered in a museum and exhibition centre, called Spazio Pantani, which is situated next to Cesenatico's railway station in Viale Cecchini, which contains photographs, memorabilia and video footage dedicated to preserving the memory of the rider. 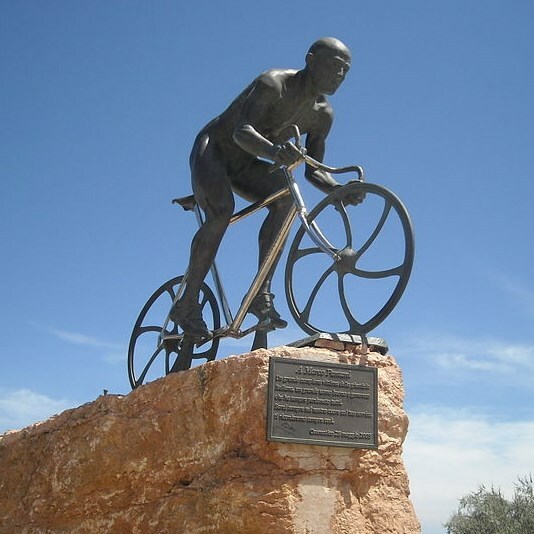 There is also a monument to Pantani in a park off Viale Carducci.